When seeking the best pickleballs reviews, you’ll find that not all pickleballs are created equal. Pickleballs vary slightly in diameter from about 2.75″ and 3″ and weight ranging from .80 to 1.02 ounces. Pickleballs can also have different colors like yellow, orange, white, green, black, pink and blue. 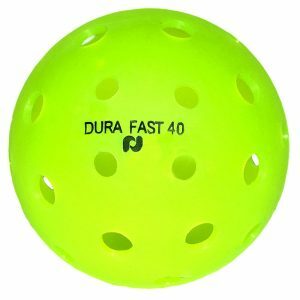 Outdoor pickleballs have a thicker outer wall for more durability during play. Indoor pickleballs are composed of softer plastic. Here are some of the best pickleball reviews to help you. 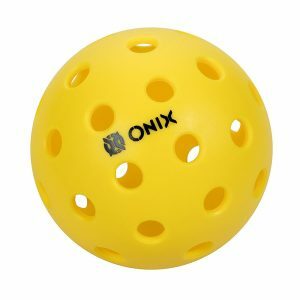 What’s the difference between a wiffle ball and a pickleball? 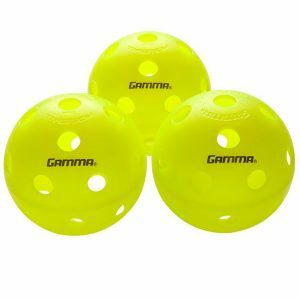 As you are looking through these reviews, you may have wondered what the difference is between a wiffle ball and a pickleball. They are different! So you cannot use them interchangeably with one another. Both balls are plastic with holes, but the pickleball is heaver, larger and has more holes. A pickleball is also brighter in color than a wiffle ball which is usually white. A pickleball weighs more than a wiffle ball, and has round holes instead of oblong ones. 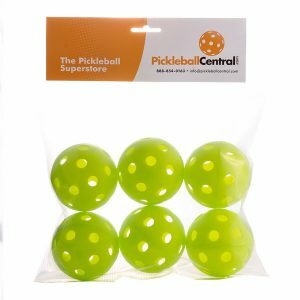 How can we help you answer your best pickleballs reviews questions? No matter the question, we are here to help you with best pickleballs reviews, and engage with our fellow pickleball players. Contact us if you have questions or want personalized advice? We are happy to help and will respond within 24 hours.